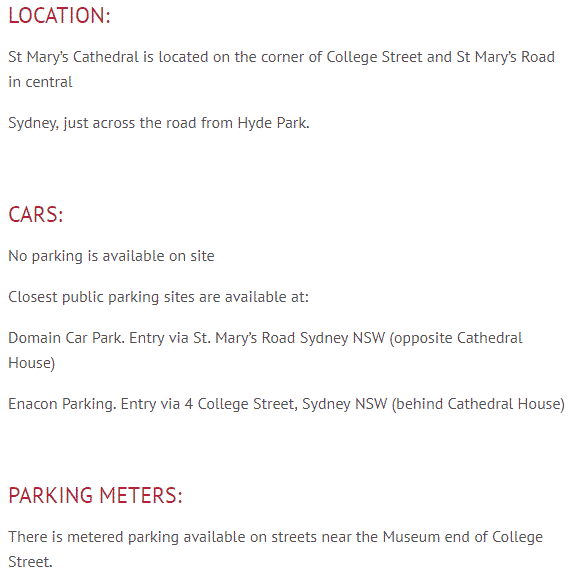 St Marys Cathedral is a church within the Roman Catholic Archdiocese in Sydney. Its full name is the Cathedral Church and Minor Basilica of the Immaculate Mother of God, Help of Christians, but is commonly referred to as just St Marys Cathedral. Interestingly, in addition to its long name, this cathedral also boasts the greatest length among Australia’s churches, regardless of the fact that it is not the biggest or the tallest. One of the things that stand out about this church is that, despite the towering skyscrapers that dot Sydney’s skyline, the cathedral’s majestic structure, coupled with the twin spires, makes it an iconic part of the city’s landmarks. The church’s history dates back 1868 when construction work began. The church was built in two phases, and this explains why the interiors have a few differences in terms of the colour and texture of the sandstone used. Other architectural details at St Marys Cathedral worth mentioning include the stained glass windows that depict different themes, extensive lighting patterns as well as different interior works. The cathedral is home to an array of treasures located in different parts of the building. The crypt has a mosaic floor whose intricate designs were created by Peter Melocco. There is also the Grave of the Unknown Soldier which is a real life size of a dead soldier captured in sculptural form. The Baptistery and baptismal font are also worth checking out. Over the years, the church has been a focal point for many high profile figures including a visit by Pope Benedict XVI in 2008. 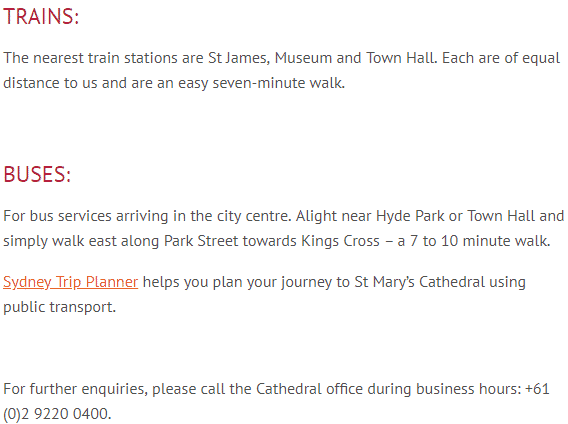 In addition to this, the cathedral also hosts mass at different mass times as outlined on the cathedral’s official website. St Marys Cathedral is located on St Marys Road in Sydney. Whether you would like to go for mass at this church, or are on the lookout for its architectural design, this cathedral will not disappoint.